HTC has launched its Exodus 1 smartphone, which features blockchain technology and a built-in cryptocurrency wallet. Those interested in getting their hands on an Early Access Edition of the device can sign-up now and pay with either Bitcoin (0.15) or Ethereum (4.78). HTC will start shipping the phone in December. 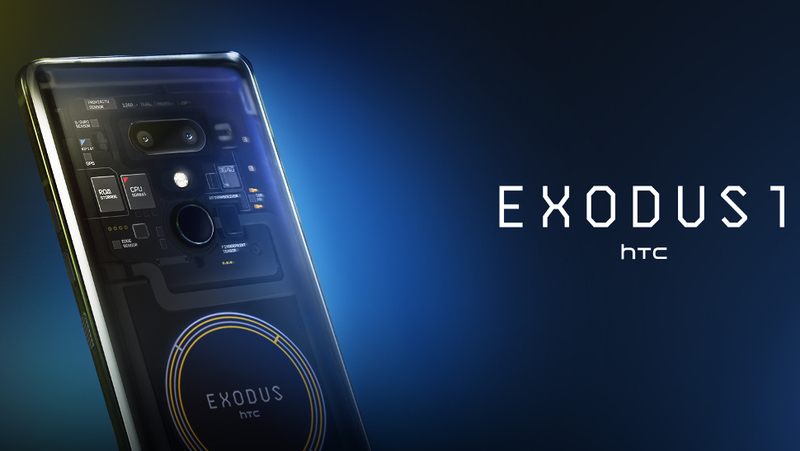 The HTC Exodus 1 blockchain-powered smartphone has been fully revealed by the Taiwanese electronics company. The device is specifically aimed at users comfortable with the booming cryptocurrency sector; it’s only currently available to those willing to pay with virtual currency. Development of the phone was based on the idea of moving away from centralized and intrusive banking and moving toward the decentralized exchanges that cryptocurrency transfers offer. Apart from the cryptocurrency/blockchain-related technology, what else does the HTC Exodus 1 bring to a potential buyer? There is a 6-inch quad HD+ display to look at, and there is a Snapdragon 845 at the heart of the device. The inclusion of 6 GB RAM and 128 GB of storage also help demonstrate that this is a flagship-level device HTC is revealing, and there is also a dual front-facing camera setup (8 MP and 8 MP) and a dual rear-facing camera system (12 MP and 16 MP sensors). With fast charging support, a 3500-mAh battery, and Android Oreo included, the phone offers plenty of appealing specifications. The current price for this blockchain beauty is either 0.15 BTC or 4.78 ETH. Depending on the exchange rate, that equates to about US$950 to US$960 (around £735 or 834 Euros). Shipment of the smartphone is expected to start in December.